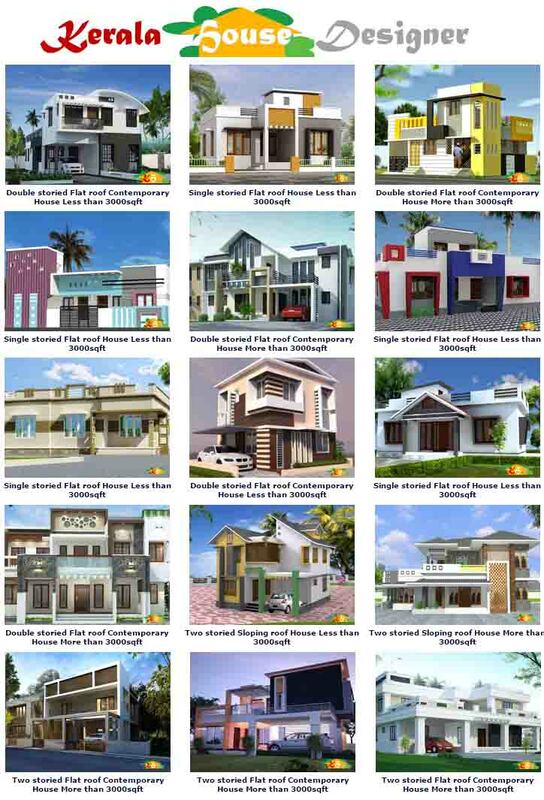 So, you have finally decided to construct your house in Kerala. With all the news about Global Warming and Green House Gases, you decide to conserve resources without causing much harm to the environment. Although Modern Kerala Kitchens primarily serve the purpose of cooking for the household, it has many additional functions- family living area, café, informal office, breakfast table, laundry corner and more. All these new functions have expanded the role of the kitchen and made it a bigger, better, and now greener place for the Malayali family. 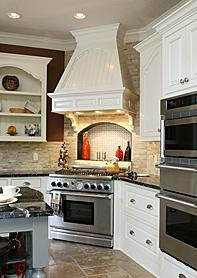 Now you can create a beautiful kitchen that's healthier for you, lighter on your budget and better for the environment. It is important to understand that a green kitchen is not very expensive and that products are not difficult to find. Most home products, particularly kitchen appliances are quite plentyand affordable. You may need to spend a bit more time researching your floors, cabinets and countertops - but the selection and quality is varied. Let us start with the essentials - your appliances. They are responsible for using the most energy and releasing the most air pollution in your home. Make sure that big or small, all your appliances are all energy-efficient. As mentioned, the kitchen is responsible for most of your energy cost in your home and that by using Energy-efficient appliances you can reduce your energy and water usage by 10 to 50 percent depending on the models you purchase. Another important element to make sure your kitchen is eco-friendly is choosing countertops, cabinets and flooring that are made from recycled or reusable resources. Choosing green products for these major elements in your kitchen will greatly reduce the air pollution generated by your home's busiest room. When it comes to choosing your cabinets, there are many green alternatives, including formaldehyde-free woods, as well sustainable woods like bamboo. Bamboo is actually a tough, fast-growing grass that's stronger than teak. Another popular choice for cabinetry is wheatboard, which is a sustainable material made of recycled wheat stalk and straw. When it comes to your countertops you can still enjoy the look of wood with an eco-friendly bamboo countertop. If you prefer a solid surface or quartz surface you'll want to check out companies like DuPont, Silestone, Cambria, Formica or Wilsonart. There are some new materials to consider when it comes to your countertops, like those made from recycled paper, recycled glass or sustainable wood. A great alternative to wood or tile flooring is cork or bamboo. Cork is sound absorbent, hypoallergenic, mold resistant and quite stylish. This renewable source is made from bark that is peeled off a tree and then allowed to grow back. If you prefer the look of hardwood floors, be sure to use wood that has been harvested from sustainable . Linoleum is making a nice comeback because of it green properties. It is made of natural materials like linseed oil, wood flour and rosin and it comes in a wide range of colors and designs. It is very durable and easy to clean. Other flooring options are recycled tile, natural stone and marble - however these natural resources are more expensive. Before you choose your light fixtures, take advantage of natural light by designing your kitchen with lots of Glass windows. A good way to cut down on energy costs is to place workstations like your prep and cleaning areas and cooking islands underneath or near windows. When you choose your lighting, choose fixtures that are energy-efficient, use dimmers, motion sensors and timers. Always use fluorescent light bulbs, because they use about 70% less electricity and last about 10 times longer than an incandescent bulb. Look beyond your cabinet doors and drawer fronts to the actual box and drawers, because they are generally constructed from particleboard and medium density fiberboard (MDF). These both contain urea formaldehyde glue, which can release toxins into the home. Look for cabinets made from certified plywood, wheatboard, bamboo or formaldehyde-free MDF. Your countertops need to be installed on top of a substrate, so make sure that the substrate is made from certified plywood, wheatboard, or formaldehyde-free MDF rather than particleboard or MDF containing formaldehyde.